Drake‘s hotline has been blingin’ outside the pearly gates, according to several top news outlets who fell victim to hoax reports that the rapper had died. 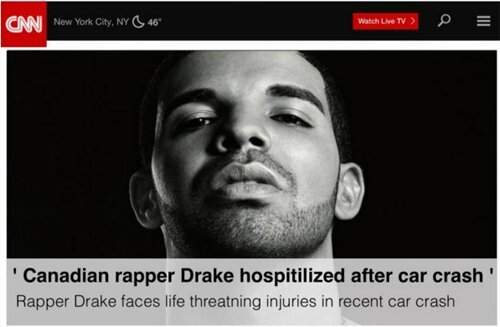 The tricksters of 4chan (yep, they’re still a thing) coordinated a mass troll, fooling the likes of CNN, Buzzfeed and Yahoo into believing that Drake had been killed in a car crash. As NZ’s Stuff reports, 4channers planned the execution of “Operation Drake”, designed to con the internet into believing that the Hotline Bling singer had danced his last dorky dance. We’ll let Sir Michael Caine field this one. However, they were only partially successful. 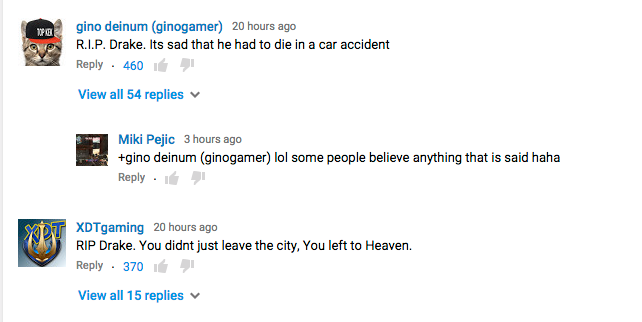 This is what went down: 4channers started posting “RIP Drake” comments on the official YouTube video for Hotline Bling, which were then up-voted by those in on the joke (and are still currently some of the top comments on the vid). 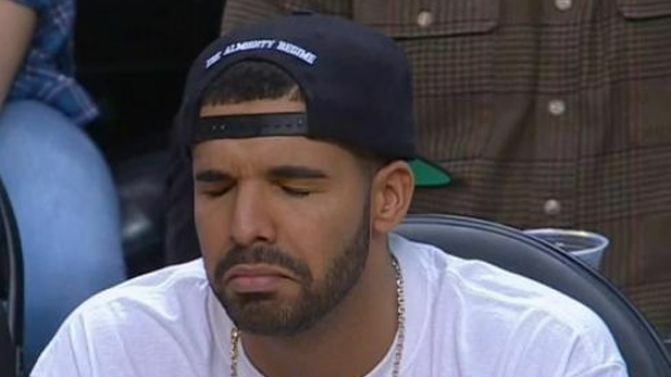 Simultaneously, Drake’s Wikipedia entry was edited to say that the rapper had passed away on November 22nd. The Buzzfeed post has now been taken down, with the url now displaying an editor’s note reading: “A Buzzfeed community user posted a false claim about the musician Drake to this space, and we’ve removed it”. Thankfully, the hoax was soon discovered for what it was, and everyone’s favourite 6 God remains alive and well, living to dorky-dance another day. And if you think the internet faking Drake’s death is heavy, then wait til you get a load of this metal re-work of Hotline Bling.